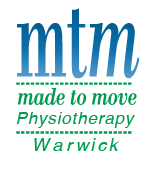 You may be eligible for Private Health and Medicare Rebates so speak to your Doctor about Exercise Physiology or call and talk to the staff at MTM Rehabilitation Gym. Your first appointment will be a 30 minute initial assessment run by an Accredited Exercise Physiologist. Please arrive five minutes before your appointment time to fill out some basic paperwork. During the assessment we will take your health history, discuss your exercise goals and get all the information we need to exercise you safely. You may be asked to complete some simple movements so wear comfortable clothing but during this first session you won't be completing a full exercise session. If you have any scans (X-rays/CT scans of knees/back etc.) or paperwork from your doctor (bone density scans, cholesterol results etc.) that you think we should see please bring it in. Then we will book you in for two one-on-one supervised exercise sessions where we will run through your exercise program with you, showing you correct technique and how to adjust the gym machines. The program will be developed just for you so please let us know if there is anything specific that interests you so we can help you develop an interesting and effective program. Each of these session runs for 60 minutes. If after two sessions you still are not 100% confident and you would like some continued one-on-one supervision feel free to book an extra program run through. After your supervised sessions you are ready to join the gym on a membership! We have a variety of different memberships to choose from and we can help you make the best choice for you depending on your goals and how often you are aiming to attend each week. Our Exercise Physiologists are also happy to develop home programs or gym programs that you can complete at your local or work gym. We can arrange monthly follow-up sessions to assess your progress and update your exercises to keep you heading in the right direction.